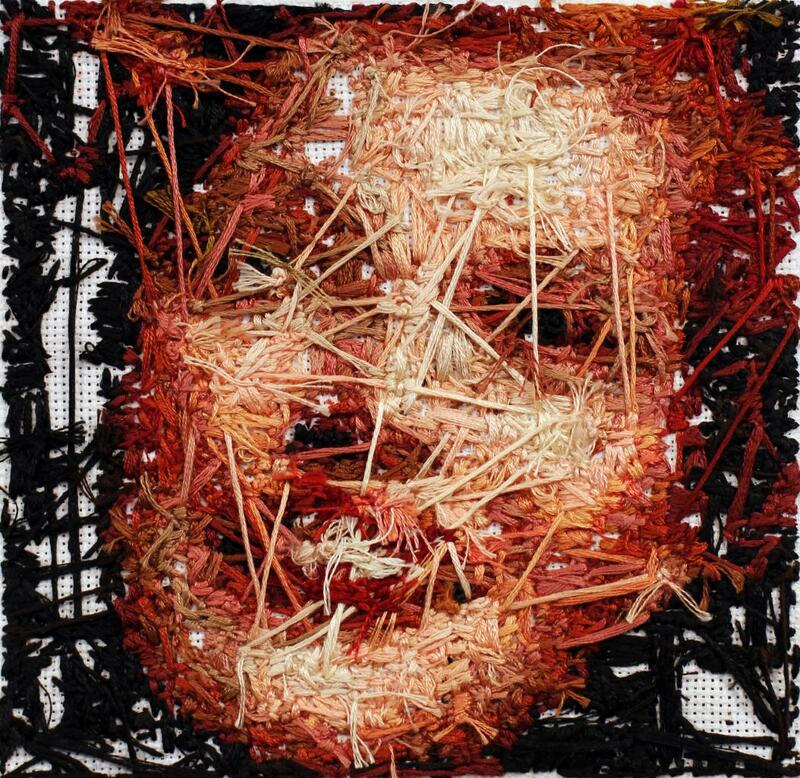 Stephanie Clark is an artist we have featured before here on Mr X Stitch, but this Stitchgasm! looks at something a little different! This piece is made up of french knots to create moss and some needle felted mushrooms, all applied to a found book. The colours and textures work so wonderfully together! To see some more of Stephanie’s work, check out her website!